Summary: The 504 Plan sets out an agreement to make sure the student with diabetes has the same access to education as other children. It is a tool that can be used to make sure that the student, the parents/guardians, and school personnel understand their responsibilities and work through challenges or misunderstandings to avoid problems in the future. The summer is coming to a close and the first day of school is nearing. The back-to-school checklist for children with diabetes includes much more than crayons, glue sticks, and a new backpack. I need to get our supplies that are left at school back in order. I need to meet with and train the new assistant principal (we are incredibly sad to see the assistant principal go to another school this year as he was in charge of Q’s care including treating her for lows and communicating with me) and set up a meeting to train the teachers she will interact with this year. I need to label her new Littlest Petshop water bottle that she will keep in the classroom. My to do list is long! 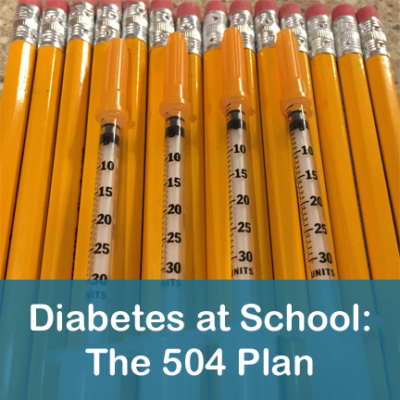 If your child with diabetes is starting school this year, have you started thinking about your 504 Plan? If you have one in place have you looked at it to see if you need to make any changes? Lucky for us there was already a child with diabetes at our school and the family shared their 504 plan with us. It was a great starting point. We didn’t actually have our plan finalized until the second semester, but we ended up adding a couple of things that we wouldn’t have thought of before school started. The 504 Plan sets out an agreement to make sure the student with diabetes has the same access to education as other children. It is a tool that can be used to make sure that the student, the parents/guardians, and school personnel understand their responsibilities and work through challenges or misunderstandings to avoid problems in the future. The term “504 Plan” refers to a plan developed to meet the requirements of a federal law that prohibits discrimination against people with disabilities, Section 504 of the Rehabilitation Act of 1973 (commonly referred to as “Section 504”). For more information on 504 Plans including a model plan, visit the ADA website. The Children With Diabetes site also has some sample plans that parents have submitted. Trained Diabetic Personnel: School will identify Trained Diabetes Personnel (TDP) who 1) Know how to test blood sugar levels and interpret the results. 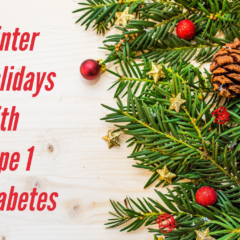 2) Know how to measure and administer insulin given by a a syringe or insulin pump. 3) Know how to respond to hypoglycemic events, including the use of the Glucagon kit. Training: Training for TDP will be provided by a diabetes educator, nurse, or the parents. Location for Pre-Lunch Testing: School will provide an appropriate location for daily pre-lunch blood sugar testing and for lunchtime insulin by injection or pump. Access to Bathroom and Water: Child will be allowed unrestricted access to the bathroom, water fountain/or water bottle, snack and the office when she is not feeling well. Child can carry water and extra glucose sources. Insulin Delivery: A TDP or nurse will supervise daily glucose monitoring and administer insulin via injection or insulin pump. If a substitute is not aware of how to administer insulin, the school will call the parents. Testing: Glycemic conditions can have an effect on the child’s testing, therefore: 1) Blood sugar should be tested before important tests. 2) Child needs to eat her regularly scheduled snacks even if they are during a test. 3) If diabetes related activity (testing blood, snack, water, bathroom) must take place during a timed test, child will be given equivalent extension of time at the end of the test. Recognition of Hypoglycemic Conditions: All staff in charge of child’s class should have training or in-service on how to recognize hypoglycemic conditions. Fieldtrips: A TDP will accompany child on any trips away from school when a parent is unable to attend. Parental Notifications: Parents will be notified when food supplies need to be replenished, when the child has abnormal readings, has pump problems, when the schedule is significantly changed, or when the nurse is absent. Notification should occur as soon as possible. Substitute Teacher: Substitute teachers will be notified of child’s diabetes and made aware of which staff members are TDP. Substitute should be notified in the lesson plan that they are to use the TDP when needed. Lunch Time: Child can go to the front of the lunch line to get lunch and/or milk so that she has time to get her food started before insulin is administered. Hallway Transportation When Hypo or Hyperglycemic /Not Feeling Well: Child should be accompanied by an adult or responsible student when going to the office if she is not feeling well. Emergency Supplies: Child’s emergency supplies and insulin pump bag (or meter/syringes/insulin) will be listed on the student roster to insure they accompany child during fire drills, field trips, and any time she leaves the immediate school grounds. Lock Down Situations: Child will have blood sugar meter and snacks in an additional location that is accessible during lockdown. Ketones: Child should use her blood ketone meter (or urine ketone strips) anytime that her blood sugar is over 300. Of course how your family manages your child’s diabetes based on the recommendations of your care team will dictate specific wording and instructions. But training staff, having access to water and snacks, making sure that your child’s supplies go with her when she leaves the school grounds, making accommodations for testing, and ensuring the child has enough time to eat her lunch are important points to consider. We didn’t think about lock down situations until another school in the district was on lockdown. Now we will have extra supplies in another location. If your school has a full-time nurse in residence, then you may have less need for more trained personnel. But the reality is that many schools have only a part-time nurse, if they have one at all. If you have a change in care routine, such as changing from MDI to a pump, it is important to modify your 504. And it is my understanding that if your school receives a dime of federal funding then they are required to allow you to have a 504 plan in place. Is your 504 plan in place and in order for the coming school year? 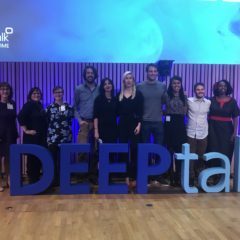 Back to School with Diabetes: Lots of information and links! I have an entire chapter about school in my book Kids First, Diabetes Second. Read more posts about Diabetes at School. My daughter is only 3, so she won’t be starting school for a couple of years. But I’m hanging onto this for when she does! So many things that I never thought about and it’s all spelled out in detail so there’s no getting around it or compromising care! Thanks for posting this! Cindy- Yes, it can be daunting thinking of all the contingencies for children with diabetes when they enter school. I think that’s one reason why we took our time getting it in place that first year because we needed to see what we needed to compensate for. But we have a very cooperative school which really helps. We do not have a full-time nurse, but we are making it work the best we can. Good luck! Here is Crystal Jackson of ADA doing a 24/7 flip on diabetes and a school. I am surprised that you are allowed your own 504.. here in Cumberland County.. I have fought tooth and nail for my own 504.. I am not allowed one.. I am allowed a Academic Plan, and a Health Plan.. which are nothing what I would like, or covers anything that I really would like put into a plan.. I contacted the School board.. sweet woman.. but didn’t get it… I hope that your entering school, is much better than ours was.. I am not looking forward to the fight again. My son was dxd at 18 months.. he is now 9.. We have 3 school people trained in his care.. I would like to see more.. back in WI.. I had 8 people trained right down to the janitor..
GOOD LUCK ON YOUR SCHOOL START. Oh and I have been a member of the CWD site for 8 years do you do the message board.. it is a mountain of info for us oldies, and newbies a like..
It’s my understanding that if your school gets any federal funding at all (even a dime) that legally you have to be allowed a 504 plan under the Americans with disabilities act. Unless your school is 100% privately funding, they are discriminating against you be not allowing it. I would contact the American Diabetes Association because I believe they have staff that helps families in this situation get a 504 in place. Hello. We are having some resistance with our proposed 504 for our kindergarten daughter (dx’d 2/10). Looks like main problem is that the school would like to used a standardized, check-the-boxes form that the District 504 Coordinator has provided. It seems more applicable to dyslexia and learning disorders. Our 504 is in the format of the ADA. The school counselor wants the part-time school nurse to write the accommodations, and I am worried about this as she has already said to me “an elementary level child does not need a 504”. Any advice would be helpful. I am not sure how your school district gets away with not allowing your 504 and I’m not sure what you are asking for but by law they have to give you a 504…. Susan- Exactly…I commented on Kathy’s post about not getting a 504 plan. It’s my understanding that by law if your school receives federal funding you have to be allowed one. Thank you for commenting! Thanks for this post; I’m currently swamped in a pile of papers that hopefully will merge into a coherent 504. I keep running into the same question, though: how specific do you get? Dosages and fixes seem to change weekly, and I’m having regular phone calls that go something like this: “Make sure you give him 5 gummy bears today, not 6.” I don’t want to have to hold a 504 meeting for every gummy bear… Should I just add a disclaimer line to the official 504 that says “parent will update dosage chart on a regular basis,” or something like that? Instead of using the 504 plan; I wrote up something similiar to a 504 plan called *Accomodation Plan. * It includes everything a 504 plan does without legally calling it a 504 plan. I might have to change it to a 504 plan once my son starts his junior year; so that his 504 is in place for SAT/ACT testing; because a 504 must be in place for that. I have found that most school districts are very accomodating and are concerned with the safety and health of your child; and if your school doesn’t have a school nurse to help advocate for you; check with the school social worker or school psychologist. Good luck! Linda- Ours is a “504 Accommodation Plan.” Is there a reason why you didn’t do a 504 in the first place? Because of ACT testing, I would push to get it changed to that sooner than later. Especially because it could take months to get it in place. Our Assistant Principal told us to get it in place as a kindergartner and include testing because it’s easier to put those things in now then try to add to it later. Testing isn’t a big issue until third grade were we are, but we’re prepared with the accommodations already in place. Thank you for the advice Leighann. I’m going to get it changed starting tomorrow! How would I know if the school receives federal funding? My daughter will be starting Pre-School in a few weeks at a private school. Is that information that the school is obligated to provide to me? Just ask. It should be public record. Some private schools receive federal funding for their lunch program, scholarships, etc. My son is in Lethbridge Alberta, does this 504 change from different providences? All I know at his school it’s up to the parents, no help at all which is sad for people who work. The 504 plan is based on an American law. There is a different system in place in Canada and it might vary by province.